According to Forbes (2006), she is the richest woman in the Middle East, with assets totaling $5.5 billion. Today she has found a way to merge business and do-gooding for the planet, setting an example for future environmental philanthropists and clean technology experts. Shari Arison, who inherited the Carnival Cruise Line’s fortune and her late father Ted Arison’s billions of dollars in assets, is about to help return lost drinking water to those most in need. Under the Arison Group, of which she is the chairman, Arison has invested $100 million in a new water saving initiative called Miya (pronounced “me-ya”). Founded in 2006, Miya was launched publicly some weeks ago after acquiring and controlling the necessary global firms to take it to market. Miya (which Green Prophet reported on earlier) intends to return lost drinking water – dripping through leaky valves and faulty equipment – to quench the thirst of millions who go without safe and clean drinking water every day. About one third of the world’s drinking water is going to waste, getting lost through leaky pipes and valves. This is a factor that continues to deprive people from drinking water, according to the company. Miya intends to cut this statistic in half. The idea to save water leaking from pipes isn’t revolutionary, but the approach of joining global forces is. Already owning a number of powerhouse assets in the area, with contacts to hundreds more, Miya will be made up of up of six state-of-the-art water services companies to provide a complete solution to cities and towns. Companies involved include Israel’s Dorot, a pressure control valve manufacturer already used throughout America; GuterMann, a leak location equipment specialist in Switzerland; and the Canadian-run Veritec Consulting, a company which designs water loss reduction programs. In Israel, Miya is headed by Booky Oren, a veteran water specialist, and the previous chair of Mekorot, Israel’s national water utility company. According to Oren who spoke with ISRAEL21c, the effects of Miya’s projects are already being felt: “This company is part of Shari’s vision, and a revolution,” he says. While Arison is known for her philanthropic activities – one includes the Essence of Life alternative news portal – through Miya she combines both her passion for making the world a better place, and her business smarts. Miya’s solution is based on proven technologies that favor selective pipe replacement methodology over massive infrastructure overhauls. The company now holds the largest accumulated experience and knowledge in creating comprehensive, practical solutions for municipal distribution systems worldwide in water loss management, according to the company. Intended to help all in need, even those without proper diplomatic relations to Israel – Miya expects to also help Muslims in Muslim Middle East nations, through its global presence and its registered business in Luxembourg. In Israel for example, it is reported that Israel’s water authority has been supplying Palestinians enough drinking water, as per the latest peace accord. The problem is that the water they receive is not being distributed or recycled properly. Solutions provided by Miya may be able to help this problem, and many more, from slipping through the cracks – or more appropriately – from going down the drain. This article is reprinted courtesy of ISRAEL21c. Sign up for the magazine’s weekly newsletter, here. Will Israel’s Drinking Water Suddenly Stop? dear madam,shari arison. im longing to meet you since a year.please kindly meet me once ill be thank full matter most urgent.im from india and i need to mail you personal regarding this.if can see this mail please reply me .most urgent of my life time matter.thank you. I have a letter prepared for Shari Arison on a new energy technology, developed over a 20 year period, which energy (better than natural gas) may be derived from city, industrial and agricultural wastes. Irrigation water is a by-product. Please provide the name, phone number and e-mail address of the most senior executive, in Israel, who represents her on clean energy innovation and water matters with a view to a meeting in Tel Aviv between her and Professor Pinchas Mandell, the CEO of Magnegas Israel. This is only one of the areas of mutual interest between Mandell and Arison. 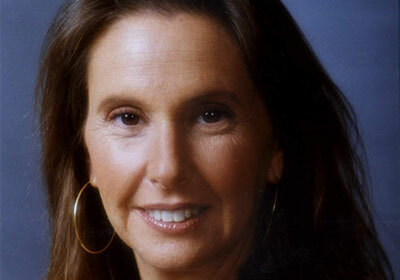 CAN YOU PLEASE E-MAIL ME THE OFFICE E-MAIL ADDRESS OF THE OWNER SHARI ARISON RE. HER WATER INTERESTS.